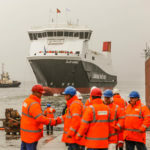 The Clyde shipyard building the new Arran ferry and her sister ship has said it will lose £39.5 million on the contract. 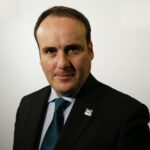 Port Glasgow based Ferguson Marine Engineering Ltd (FMEL) says it now requires the full payment of an agreed £45 million Scottish government loan and will need further funding from entrepreneur Jim McColl’s company to survive as a going concern. Latest accounts, filed over a year late, show the yard made a £60 million loss from continuing operations in 2016. The Ferguson yard was saved in September 2014 by Jim McColl and his private equity firm Clyde Blowers Capital, who went on to make significant investment in the yard’s infrastructure, but an ongoing dispute with Caledonian Maritime Assets Ltd (CMAL), over the £97 million contract for two new prototype dual-fuel ferries, has escalated without resolution. 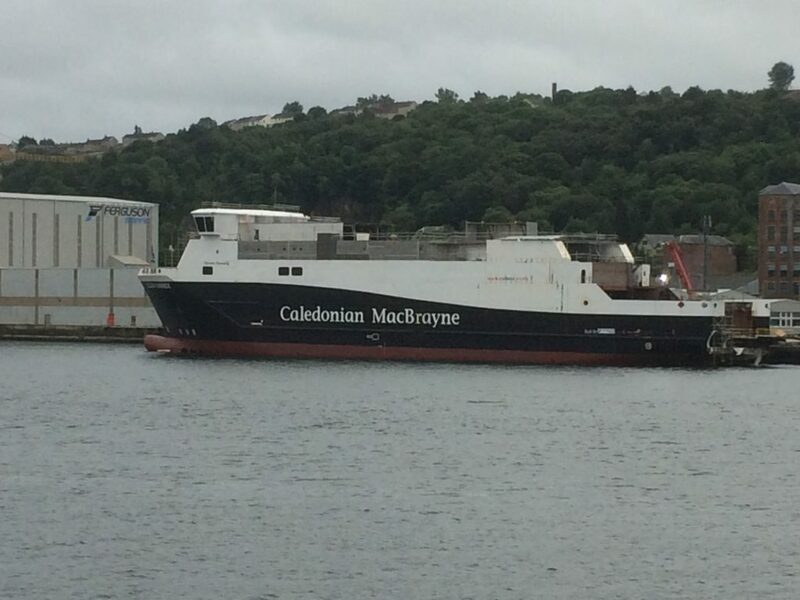 As reported in the Banner earlier this month, Ferguson has already threatened legal action over the contract to build the MV Glen Sannox and a second ferry and said a claim would be lodged ‘within weeks’. But CMAL rejects that there have been any significant changes and has previously insisted Ferguson has to stick to the terms of its fixed-price contract. 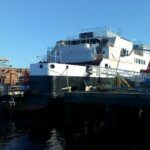 A spokesman for Ferguson Marine said: ‘In our latest published accounts, we have provided for identified cost overruns, in line with accepted accounting standards. ‘These cost overruns are a direct result of the unforeseen complexities of building the two prototype, first in class, dual fuel LNG vessels for our client, CMAL. We fully expect to recover the costs identified and are subsequently in discussions with professional claims experts, with the aim of submitting a formal claim to CMAL within the next few weeks. ‘We firmly believe that following a period of remarkable transformation, which has seen significant investment into the yard’s facilities and workforce, Ferguson Marine Engineering Limited is now well placed to embark on an exciting phase of sustained growth. Who will blink first in ferry showdown?